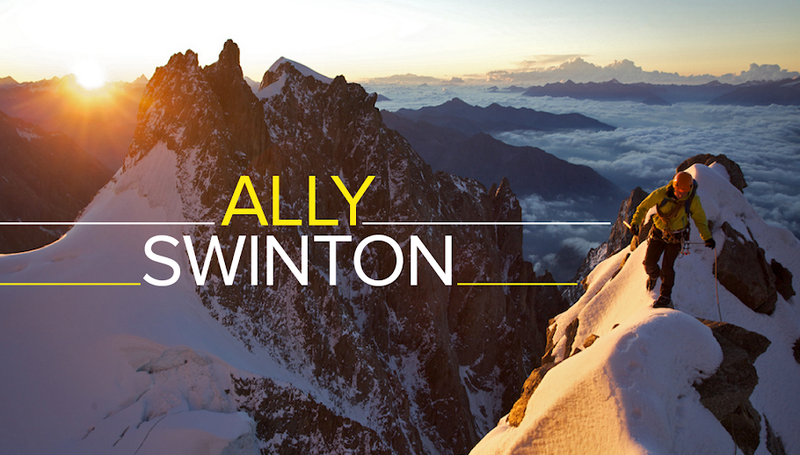 ally swinton blog: It's about blogging time! I know I've not posted on my site for a while, sorry about that, but I've not been doing that much climbing over the past few months due to the epic amount of snow we've been having in Chamonix. I have been doing a fair bit of skiing which is great as it's something that I've been wanting to improve at. I'm not a great skier but I've defiantly improved a bit since last year, Probably due to the fact that we had no snow last year! It's been great building up some confidence and seeing improvements in a different sport. With this amazing amount of snow most of the skiing I've been doing has been in powder, and the one place that I've learnt which is amazing for powder skiing. Is in the trees. It's amazing negotiating your way as fast and as smooth as you can down through a forest. The one big problem I have doing tree skiing is being so indecisive! I'm always thinking about things way too much. Like when I'm climbing I'll spend ages trying a move then end up doing it the way I first tried it. I'd also spend so much time trying to perfect such a simple carpentry task which really got on my boss's nerves. Even walking down the street, I'm always wondering about which side to walk on! I have done a few bits of climbing over the start of the season but not much. Last week Josh "ten cups of tea2 Fawcett and myself went up to climb a wee route at the Col des Montes. Also the other day I climbed 'Fil a Plomb' which is a classic alpine route on the Midi. The route is in great condition with the main pitch being a little bit fatter than last year. I did it with four of my friends, and three of them were my fellow colleagues. Yes that's right colleagues which means I've finally got my self a job!! So it's been a great start to the ski season which is awesome, but I'm really keen to get my climbing head back on and get some great routes done. With this amazing snow coverage though it's so easy to ski back down to town at any time of the day, so I can now dither about as long as I want deciding how to climb that move!